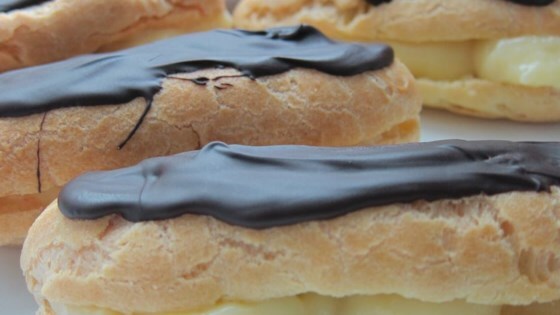 "This is a classic pastry cream often used in bakeries and restaurants. It can be used as a filling for cakes, pies or pastries. To make a lighter filling, fold in plain whipped cream." I needed to make this non-dairy, so I used soy milk and margarine in place of the milk and butter. It still turned out smooth and creamy! I'm using it to fill a boston cream pie. Yummy!